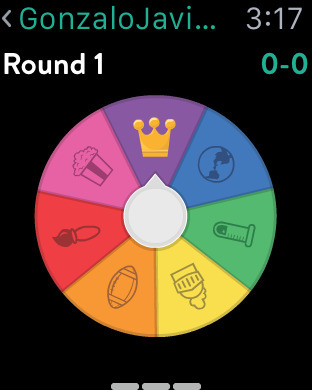 Put Willy the Wheel on your wrist and play all of your turns in Trivia Crack right on your Apple Watch. 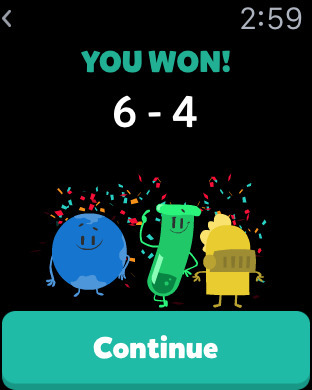 Answer Trivia Crack's questions across various categories without taking out your iPhone by simply tapping on the choices on your Apple Watch. 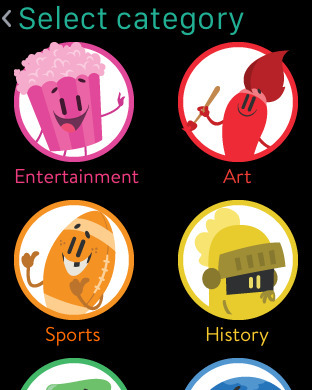 Have fun just by looking at and tapping on your wrist with six colorful and cheerful animated characters, which represent Trivia Crack's six categories. Be the first to obtain all six and be number one. During the last years, Etermax has emerged as a model company in cross-platform game developing in Latin America. Etermax created Aworded and Word Crack, two word games that already have more than 60 million users. In 2013 Etermax expanded the scope of its games and created a bingo: Bingo Crack. 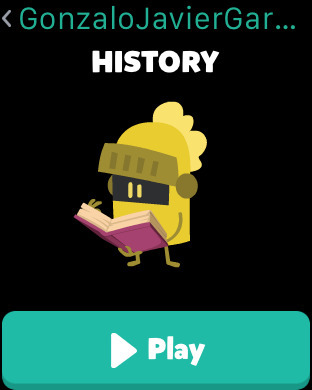 It went on to create Trivia Crack, a quiz game that took Latin America by storm only months after its launch. Etermax leads the app and games rankings of several Latin American countries.